My fifth wedding anniversary is fast approaching, and I'm faced with a dilemma. Usually, I would dazzle the love of my life with a much-appreciated meal paired with a high-end sparkling wine. For our first anniversary, we enjoyed the ubiquitous Dom Pérignon. Each year since then our selections have been decidedly non-budget friendly. Created by California-based French wine cellar Moët-Chandon, the reserve can be had for less than $25. Tones of fruit (strawberries and cherries) are followed by an exceptional creamy finish. While you might have to go somewhat above $25 for the reserve selections, Roederer Estate sparkling wines maintain a great deal of the original champagne influence thanks to the climate in Anderson Valley, California. The Brut NV has pear and spice overtones with a hint of hazelnut in the background. Although the description may sound heavy, the overall flavors are quite light and pleasant. Using the traditional method, bubbles are formed in the bottle to create this Spanish delight. This is a traditional example of a label wine, as the Segura Viudas Reserva Heredad was originally created for use by the Segura family. It has a aromatic floral appeal with a citrusy zing at the end. Bottles run for about $22. While these particular sparkling wines may not be readily available at your local gourmet food shop, they are worth seeking out online if you have time to plan ahead. If time is of the essence, don't be afraid to try a sparkling wine from Italy, Spain, California, or some other unique locale. A sparkling wine doesn't have to hail from Champagne France to be noteworthy. What are some of your favorite value plays in sparkling wine? A significant new player entered the Massachusetts market when Wine Nation opened its doors on July 30, 2010. Perched atop The Shoppes at Blackstone Valley in Millbury, the store is by far the largest wine shop in the state offering more then 6,000 different bottles of wine. And their shelves aren't even fully stocked yet. To put those numbers into scale- most small to medium sized wine shops top out at around 1,000 different wines. You may remember Wine Nation from their as-to-yet unsuccessful attempt to open in Braintree last year. At the time, I was under the impression that Wine Nation was the same firm as the national retailer Total Wine. They are not. According to this piece in the Worcester newspaper Wine Nation is headed up by Thomas Trone, his wife Jill and their son Taylor. Total Wine is owned by Thomas' brothers David and Robert Trone. The implications of this split are meaningful. First because the Millbury location is the first and only location of a new brand at this point. Although the concept is similar in nature to Total Wine it truly is a distinct and independent new retail brand. Second because Massachusetts allows any single retailer to hold only 3 liquor licenses in the state. In other words Total Wine could also open here if they wanted which would bring a total of six new big box wine shops to the state. Do you enjoy developing a personal relationship with store owners? Are you adverse to big box retailers? Do you like having a wide array of products to choose from? Or do you prefer retailers who apply an editorial filter and present you only with choices they believe in? Looking at this list of wines and their prices without much additional context is similar to shopping at Wine Nation. They've got a ton of wines and it's up to you to find wines you want that are good values. The store is located within The Shoppes at Blackstone Valley whose website says it's the "largest open-air shopping center in all of Central Massachusetts". The center is home to smaller specialty retailers and other big boxes along with restaurants and a movie theater. It's the kind of place you can easily spend several hours shopping because it offers so many things to buy and do. Several police officers were directing traffic the weekend we visited. The store is located on a higher portion of the development and announces itself proudly to wine enthusiasts visiting the center. When you're "into" a hobby like some of us are with wine every related mention of your interest catches your attention. If you like wine, it would be difficult to visit this shopping center without noticing Wine Nation is here. To give you an idea of the scale of the store, this location in particular was formerly a Linens 'n Things (the now-defunct home goods store). Instead of a Cabernet "section" imagine an entire aisle devoted to the wines made from the grape. And another aisle for Merlot, Pinot Noir and so on. The place is huge and the number of different wines they have is either amazing or overwhelming depending on how you look at it. I overheard a store clerk tell a customer they ordered 5,000 wines and I've read they plan to carry 8,000 when completely stocked. After diving in and exploring a few of the aisles I realized an overview of the layout would be helpful. I stopped by the Wine Service Bar and picked up a map and chatted with an associate who was doing a wine tasting. I passed on the Chardonnay and Merlot (had to keep a clear head for this important assignment, right?) but got a good crash course into how the store was arranged. You can find a given wine in multiple locations. Say you're looking for a bottle of Belle Glos Meiomi Pinot Noir: It will appear in the Pinot Noir aisle of course, but it might also appear in the Staff Favorites section, and again in the New World Values section. It could also appear in the Highly Rated section and in the "Lush" section where they arrange wines by intensity from Light to Intense. Within most categories wines are arranged alphabetically by producer. I wasn't a fan of this approach. Say for example you're looking for all the Barbaresco they carry: You find your way to the Italian Reds section, and start looking through the options. You have to look through two aisles of Italian reds and examine each label to see whether it's a Barbaresco. I would prefer if they arranged the wines by sub-type within each category so I could see all of the Barbaresco in one place. Alphabetizing wines by producer is confusing anyway. Say I'm looking for a wine called "The Seventy Five Wine Company The Sum"- what letter would that be under? "T" for The? "S" for Seventy? "7" for 75? "S" for Sum? Better to just arrange the wines by sub-type than by producer I think. And then within that sub-type by price. They make very little use of shelf talkers. Especially those with numerical ratings. I don't know if this is a conscious decision or something that hasn't been tended to yet since they were only open a couple of weeks when I visited. They do have descriptions posted for their house brand wines, but overall I found very little in the way of signage customers could use to find more information about the choices in front of them. Only about 5% of the wines had any kind of description at all. The lack of numerical ratings could be seen as a positive or a negative. If they're adverse to numerical ratings and choose not to display them I can respect that. But why have a Highly Rated section without further information about how the wines were chosen? I could see keeping numerical ratings and tasting notes up to date on a store of this scale a truly difficult task so perhaps they're just choosing to avoid the work involved and leaving it up to shoppers to determine their own criteria along with recommendations from sales associates. If they don't want to clutter up the shelves with too many shelf talkers a useful alternative would be a reference area where shoppers could go to browse copies of popular wine publications, look up professional/CellarTracker ratings on computers, and grab a cup of coffee. I think a real element of community could emerge if this approach was well-implemented. The store is uniquely positioned with its scale to offer value added services like these. When you first come in the store, pick up a flyer and a map. The flyer includes the dozen or so wines on sale that end in the number "4" like the Parallelle 45 Cotes du Rhone for $9.94. These specials are also listed on their website and if you see any wines you like in this list you'll probably want to buy them because these wines are sold as close to cost as possible. They're not loss leaders (it's illegal for a retailer to sell wine for less than they paid for it in Massachusetts) but they're definitely favorably priced to get you in the door and look around. I've been a huge fan Elk Cove Pinot Noir for a while now and I was shocked how low their price was on this wine. Compared to 2006 and 2008, 2007 was a bit of an off vintage depending on who you ask. But at this price I was willing to take a chance. The best price I see nationwide is $19.99 and it's typically on Massachusetts retailer shelves over $30. When I got home I cracked open one of the bottles of Elk Cove just to see whether I might want to buy more in the future or perhaps recommend the wine. Unfortunately, the wine was awful. It smelled like ketchup and raisins. I thought the wine might be flawed (ie just this particular bottle was defective) or worse yet the entire lot was off hence the low price. But what wine flaw leads to these characteristics? I put the Elk Cove aside and opened the Honig Sauvignon Blanc. Wow what a wine! Especially compared to the off Pinot Noir. And at $12.94 what a price. A couple nights later I opened the second bottle of Elk Cove and it was much better than the first. It still wasn't a spectacular wine and although I detected faint traces of some of the off-putting characteristics from the first bottle I now believe the first bottle was oxidized. Strangely it reminded me of a bottle of 1999 Oregon Pinot Noir I had a while back which may have suffered from the same problem. I've had quite a few corked bottles over the years but these are my first run-ins with what I believe are oxidized bottles. Interesting. So now I have a flawed bottle of wine from a shop that's 30 miles away. A compelling reason to shop close to home, but at these prices you might be able to justify dumping it and taking the hit. If they hold the price on the Elk Cove at $14.49 and start carrying the more highly regarded 2008 vintage the price would be just over $13 per straight 12 bottle case. Compare that to $30.99 from a retailer who offers 20% off a case which works out to $24.79. On this particular wine they're $10 cheaper per bottle when buying a single bottle than buying a mixed case at a higher priced retailer even with a 20% discount at the other retailer. This is just one admittedly cherry-picked example. But it's one reason I think a lot of people are going to shop at Wine Nation. Overall, their prices aren't uniformly higher or lower than other options in the area. You really have to know your prices and what you're shopping for if you want to find the deals. Amazing selection. If you're a wine enthusiast I can't imagine you wouldn't enjoy perusing the aisles at least once to see what they carry. It's not just commodity stuff- they've got some rather obscure wines too: 2007 Heitz Grignolino anyone? They carry more local wines than most wine Massachusetts wine stores I've been to combined. On certain items, they offer by far the best pricing in the state. And in some cases the best pricing in the nation. No e-commerce site. Other than a few limited specials listed in their flier I can't check their inventory and pricing online. Their inventory doesn't come up on Wine-Searcher.com. This makes it difficult to write a shopping list at home with ready access to online research. No social media presence. One of my favorite ways to check availability is to ping a store owner on Twitter. This makes it unlikely I'll check Wine Nation pricing when I'm looking for a wine online. Limited guidance in terms of navigating their selection and finding wines based on reviews. You can ask somebody or visit the Staff Picks section, but I'd like to see more reference material available to customers. Imagine a station of iPads or kiosks set up with access to Wine Spectator, Wine Advocate, and CellarTracker ratings along with Wine Nation ratings and notes. This kind of information sharing would go a long way towards positioning the store as an ally to wine consumers. Most wines are stored vertically. There's debate in the wine community about how long it's safe to keep a bottle stored vertically because of concerns the cork will dry out. Because of this horizontal storage is preferred. This could be a concern for wines that are expensive enough that they'll be on the shelf for a while, but not so expensive as to warrant them being in the wine refrigerators in the front of the store. Take for example the 2006 Felsina Fontalloro at $54.99. Stored vertically and who knows how long it will be there before you buy yours. I've heard Total Wine referred to as "The Costco of Wine". I don't necessarily agree with that comparison for either Total Wine or Wine Nation. One reason I shop at Costco is because they narrow down the choices I have to make when shopping in categories I don't care to spend time researching. I appreciate that they've taken the time to sort through all of the toothpastes, printers, and sponges to offer good products at "pretty good" prices. This isn't the case at Wine Nation- they sell too many wines to claim much editorial oversight into the selection process. I can accept that but I'd prefer if the pricing model were a bit more uniform. Their current pricing model offers a few well-priced items mixed in with wines offered at a healthy margin presumably hoping you'll pick up some of the latter when you come in for the former. I'm not saying it's bait and switch- I'm just saying you need to be on top of your game when you go there because it's sort of a Vegas casino situation where on average you'll lose unless you know what you're doing. Wine Nation's arrival in the Massachusetts market is a significant development. When they open additional stores north and south of Boston they'll be within a 30 minute drive of a large percentage of the Massachusetts population and their business model will resonate with a lot of these consumers. Add to that the potential for Total Wine opening in the state in the future. And imagine if the current 3-license-per-retailer limit is raised, and wine is allowed to be sold in all grocery stores. Lift the restrictions on wine retailers shipping into and out of the state and it's not too hard to see a future where the Massachusetts wine retailer landscape is more of a competitive free-market like California. Locally owned independent retailers can and will survive however. And I'm not talking about the tired cliche of supporting your local retailer for no apparent reason other than good will. I'm talking about retailers that add value by stocking a focused assortment of wines that make it easy to buy great wines at good prices. Retailers that offer a high degree of specialization and focus in specific categories. And retailers that connect with consumers in the way they want to be connected with making it easy to do business with them. Wine Nation is an interesting player. I get the feeling that this is the tip of the iceberg in terms of changes in the Massachusetts wine retail space. Want another opinion? Here's a review of Wine Nation from my pal Richard Auffrey: The Passionate Foodie. What do you think of Wine Nation? Or big box retail in general? I think my struggles finding value in Italian wine are well documented at this point. Too often, I've laid down good money ($20-$50) for bottles that lack depth of flavor, offer limited fruit characteristics, and generally don't bring me excitement on par with the price paid. However, I think I've had a breakthrough and I'm pumped to tell you about it. The wine is Barbaresco, and here's more about how I wound up going berserk for these wines along with some specific recommendations for quality and value. I've heard a lot of suggestions related to breaking through and learning to appreciate Italian wine. I need to be spending more money, I need to seek out wines from a specific importer, I need to be trying wines from less famous regions, etc. More than anything, I've been told that these are food wines and I shouldn't expect them to taste good on their own. All of these suggestions are helpful, but I still find it difficult to find value in Italy. I need specific examples of wines I can track down at good prices at retailers near me at reasonable prices! One thing I don't like when aspiring to expand wine knowledge is when someone tries to put you in the dunce category. For example: "Oh, you think Bordeaux is too tannic and Burgundy too earthy? You should try wines from the Languedoc." Or "If you don't want to spend a fortune on Brunello you should save your money and drink Nero D'Avola." How are you supposed to learn more about the great wine regions of the world without experiencing them? Okay Barbaresco. It's a town and a DOCG in the Piedmont region so it's in northwest Italy- about an hour and a half by car northwest of Genova. The grape used in Nebbiolo which is the same grape as is used in Barolo which is about a half hour away. You can also find plain Nebbiolo from the region which could give a close approximation of the flavor profile of Barbaresco if you find a good producer. I've enjoyed Nebbiolo from Vietti and Produttori del Barbaresco at around $20. For me Nebbiolo-based wines are the Burgundy of Italy. I'm crazy for this stuff. Barbaresco: It's not inexpensive but it's an incredible wine I'd encourage you to check out, especially if you're like me and tend to gravitate towards new world wines most of the time. The notes and ratings below are from non-blind consumption of bottles I've purchased in the past year. 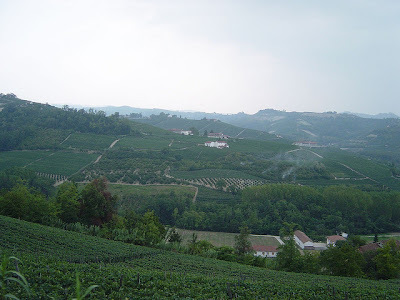 TOP PICK- the wine that sent me off on a Barbaresco binge that continues to this day. Their "Serraboella" bottling is even better. TOP VALUE- read more here on why this wine in particular is a unique value play. Who are some of your favorite Barbaresco producers? Or some value plays in Italian red wine in general? Restaurants often apply a heavy markup to bottles of wine they serve. Now, this is not a ploy to bilk you out of your hard-earned money, it’s just business. Keep in mind they not only have to pay for a liquor license to serve said tasty alcohol, but they also need to make a profit. And while you can certainly bring your own bottle and pay the corking fee (it varies by restaurant, but tends to average out around $10), there are a few advantages to drinking what the house has to offer. 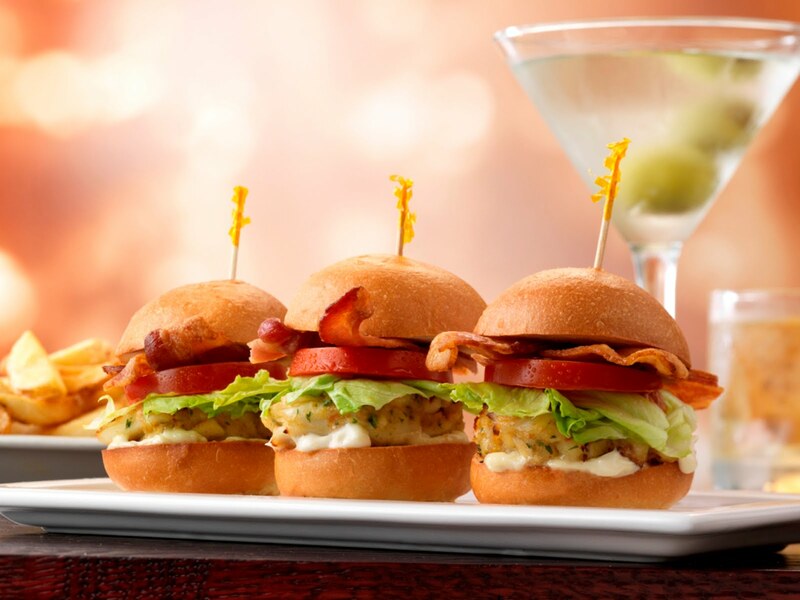 Consider these tasty tips for stretching your wine dollar when dining out. Many fine restaurants employ a professional whose sole job is to tell you what wine will pair best with your meal. If they suggest something out of your price range, don’t be afraid to tell them as they often have a less expensive option up their sleeve. Many are also willing to give you helpful tips on what to try first if you’re just starting on your long journey towards becoming a connoisseur. If there’s no sommelier at the restaurant you’re visiting, ask your server, the restaurant manager, or even the cook what recommendations they can make. Seek out restaurants that avoid the Top 10 Wine Service No No's for Restaurant Waitstaff. 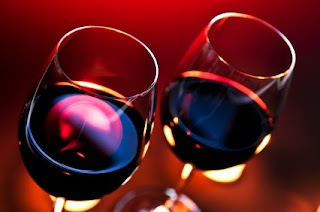 Some restaurants offer regular wine tasting events (often with dinner included) to give customers a chance to become familiar with their selection or a specific region. These present a great opportunity to try a lot of different wines without committing to an expensive bottle you may not be thrilled with. To learn about these opportunities subscribe to your favorite restaurant's E-mail list or check out LocalWineEvents.com. An example is this one currently running at The Capital Grille through September 5th, 2010. There’s no better way to find out what you like than to see what’s offered by the glass. This can provide big savings over bottle purchases because restaurants buy these wines in large quantity and (hopefully) pass the savings along. There are five 5-ounce pours of wine in a bottle- do the math when considering your options. Some restaurants offer up tasting flights where you can try several smaller pours for a reasonable price. This provides a good way to compare wine styles in a category side by side. Legal Sea Foods does a good job with this. For slightly more than the cost of a single glass you can try several wines and learn from tasting notes along the way. There is significant debate in the wine community whether price correlates with quality. But with so much competition in the market (and many high-end labels producing lower cost bottles with just as much clout) you can find some pretty good wines for a lot less money. Go for the style of wine you're in the mood for, match the weight of the food to the wine you're selecting, and when in doubt ask for help narrowing down your selection. Dana Livingston is a writer for a culinary arts website where you can browse schools and the latest trends in the culinary arena. Interested in writing a guest post for the site? Drop me an E-mail with a proposed title and I'll get right back to you letting you know if it's a good fit. A couple days ago I mentioned I'd be following up with my first "bulk buy" recommendation since the 2007 Seghesio Sonoma County Zinfandel. 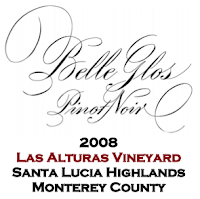 The wine is the 2008 Belle Glos Las Alturas Pinot Noir mentioned below. After this tasting, I found it on an short-burn E-mail deal from a retailer at a price too low to mention, but if you can find it in the neighborhood of $30 I think you'd be impressed. The more affordable 2008 Belle Glos Meiomi Pinot Noir is also an outstanding buy that can be had for around $20 if you shop around. I think these wines along with the Elk Cove in this review are outstanding -and- good values in my book. What region comes to mind when you think of top quality domestic Pinot Noir? If you're like a lot of people I've asked, the Willamette Valley tops the list. This may have as much to do with Oregon's nearly singular focus on the grape variety as it does on the outstanding Pinot Noir produced in the region. But California produces some fine Pinot Noir too. In fact the California Pinot Noir tasted in this report impressed me so much, it's a contender for my most exciting wine of the year. The theme of a recent Pinot Noir online tasting event was to grab some Pinot Noir from your favorite regions and then tweet about it with a hashtag. Like #wv for Willamette Valley or #slh for Santa Lucia Highlands. It was a fun event and as you can see from the results Oregon was by far the most popular region. Relative to other varietals, I drink a lot of Pinot Noir. In fact, looking back at my consumption history on Cellar Tracker over the past couple years it's out in front of Cabernet Sauvignon 72 bottles to 58 with Riesling a distant 3rd. For the event, I tasted two wines: a 2008 Elk Cove Mount Richmond Pinot Noir and a 2008 Bell Glos Las Alturas Pinot Noir. I chose each of these wines because they represent an upper end single vineyard designated label from wineries with more affordable appellation designated offerings. Elk Cove's Willamette Valley Pinot Noir sells in the mid $20s, as does the Belle Glos Meiomi. The wines I tasted this evening both sell in the mid-$30s with retail prices in the $40s. I tasted a bunch of Oregon wines including several Pinot Noirs from the heralded 2008 vintage at a wine dinner at Blue Ginger a while back (my thoughts here). Good stuff, but nothing compares to sitting down and really focusing on one or two wines over the course of an evening. This wine is dark in color and very refined stylistically. A little bashful aromatically but improved with air (and after being poured through a wine aerator). Balances rich flavors with ample acidity. Elegant stuff that may well benefit from some bottle age. The only off note I detected, and it's a quirky I-don't-know-how-to-describe-it kind of thing but it's kind of a "twang" that I've gotten in several Oregon Pinot Noirs. It's like a weedy/stemmy/dill flavor that pops up like a gopher every once in a while. Strange, but it got in the way of full-throttle enjoyment for me a couple times with this one. That aside, an opulent fine wine that I'd be proud to serve at a sit down dinner. Shop for it on Wine-Searcher.com. I talked about the 2008 Belle Glos Meiomi Pinot Noir (Pronounced BELL GLOSS MAY-OH-ME) a while back as a value alert purchased for right around $20 (Release Price is $25). It's a blend of grapes from Sonoma, Monterey and Santa Barbara. I've had 3 bottles of that wine in the past couple months and every time it's been a real winner. The Las Alturas Vineyard is a single-vineyard wine (Release Price $44) from the Santa Lucia Highlands American Viticultural Area. Santa Lucia Highlands is in Monterey County (here's a link to a vineyard map from SantaLuciaHighlands.com) so it's south of San Jose and San Francisco rather than north like Napa and Sonoma. The wine comes in a wax-dipped enclosure which gives it nice visual appeal. Theirs comes with a handy "string" you can use to easily remove the top portion of the wax for easy access to the cork. Handy tip on getting through wax enclosures though: Don't bother chipping away at the wax with a knife or a foil cutter. Just insert the corkscrew right through the wax and the cork should break right through the wax with ease. Funniest tweet of the night regarding the enclosure here. The Las Alturas was ready to go from the moment I opened it, revealing wonderful cherry pipe tobacco aromas, dark rich cherries, and even a little bit of earth. Floods the palate with delicious rich fruit flavors and spice on the finish. Never gets jammy or over the top, but it's not for the anti-flavor elite. Finish goes on for a mile but not in a bad aftertaste kind of way- more of a "I want some more of that" kind of way. Wow. There's a striking similarity between this wine and the for affordable Meiomi but this wine succeeds in a big way in taking the experience to the next level. Well done. I've been comparing every Pinot Noir I've had since I tasted it, and unfortunately it's frequently making other wines look run of the mill. One to seek out if you can find it for anywhere in the neighborhood of $30. Shop for it on Wine-Searcher.com. 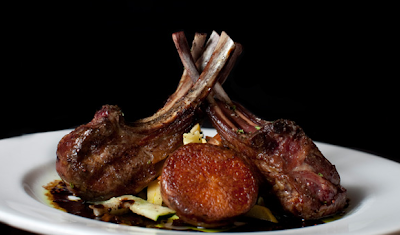 The Belle Glos (California, Santa Lucia Highlands) was brawn to the Elk Cove's elegant yet confident finesse. Both wines were outstanding but for me the Belle Glos Las Alturas stole the show. Easily a candidate for my wine of the year for its rich luscious deliciousness with layered complexity. A remarkable example of what Californian Pinot Noir can offer. Belle Glos Las Alturas was a sample for review. Belle Glos Meiomi was purchased at The Spirit Shoppe (WWP advertiser) and the Elk Cove was purchased at @WineCellarsMA. Question of the Day: What are your thoughts on California Pinot Noir vs. Oregon? What differentiates them in your experience and which are you buying more of?